The ETSI meeting started Thursday, and a vote was scheduled to be held Friday. But the participating companies have been unable to reach an agreement, and decided not to hold the vote, according to FOSS Patents. ETSI rules now dictate that the vote must be postponed by a minimum of 30 days. That will give both Apple and Nokia at least another month to convince the other side to adopt their proposed nano-SIM standard. The nano-SIM battle ratcheted up this week after Nokia said it would refuse to license its SIM patents if the ETSI chooses Apple's design. As many as 50 patent families owned by Nokia could be relevant to Apple's proposed nano-SIM design. In an attempt to drum up support for its nano-SIM design, Apple earlier this week pledged royalty-free licensing of its nano-SIM design. But Nokia publicly panned Apple's offer, dismissing it as "an attempt to devalue the intellectual property of others." Aligned with Nokia are Motorola Mobility and Research in Motion, who are concerned that Apple could own the patents related to design of the nano-SIM. They also believe that use of Apple's smaller SIM card would require a special "drawer" to protect the card. The nano-SIM standard aims to replace the MicroSIM card, which was originally pushed by Apple in 2010 with the launch of the iPhone 4. Apple's new nano-SIM would be a bout a third smaller than MicroSIM, allowing smartphone makers to potentially build even smaller devices. Prior to the nano-SIM dispute, Apple was said to have been working on an embedded SIM design that would have allowed users to select a carrier and service plan directly from their iPhone. 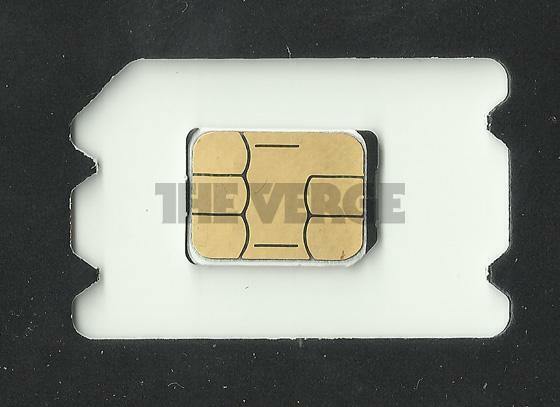 But Apple's plans allegedly upset carriers who felt they would be marginalized by an embedded SIM. And so Apple abandoned those plans, and instead began talking with carriers about designing a smaller SIM card. As a result, most European carriers are in Apple's corner in the ETSI vote over the new nano-SIM standard.